Browse: Home / 2016 / June / 22 / Where Does Erdogan Want to Take Turkey? Turkish President Recep Tayyip Erdogan is the most powerful democratically elected leader in the country’s history. He has run Turkey since 2002 through his Justice and Development Party (AKP), first as prime minister and since 2014 as president. Having orchestrated on May 22nd the promotion of his close ally Binali Yildirim to the post of prime minister and AKP chairman, Erdogan has amassed even more power in his hands: he is now head of state, as well as (de facto) head of government and leader of the ruling party. Where does he want to take Turkey? Turkey’s Islamization, coupled with Ankara’s involvement in the Syrian civil war and bad neighbors, such as ISIL, next door, expose the country to grave risks. According to a report by the Global Policy and Strategy Institute, an Ankara-based think-tank, more than 2,000 Turkish citizens have crossed the border to fight for ISIL. In the past 10 months, the group has carried out four terror attacks in Turkey, killing more than 150 citizens. 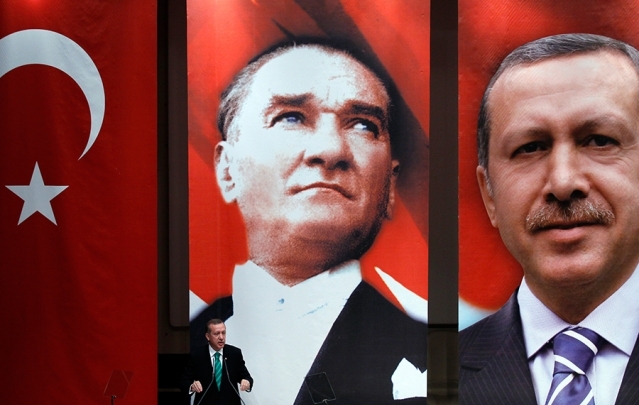 While Turkey is, unfortunately, yet to see the worst of the ISIL threat, I blame Ataturk indirectly for Erdogan’s ruinous fixation to make Islam the guiding light of all politics in Turkey. Ataturk was a general in the Ottoman military before the empire collapsed at the end of World War I. A product of the Ottoman system, he liberated Turkey and then went on to fully secularize the country. He was an ordinary middle-class citizen who received secular education in Ottoman public schools. As a young man, Ataturk lived in an Empire that already had a huge body of secular laws, courts, and institutions, including a parliament, and a tendency to see itself as part of the European state system. Thus, Ataturk’s uniqueness is not that he secularized Turkey but that he took the Ottoman trajectory to its fullest extent. He enshrined secularism in the Turkish constitution and strongly confirmed Turkey’s Western vocation. Counter-revolutions aim to rewind the political order back to the past, and this is what Erdogan is doing in Turkey. Erdogan’s counter-revolution is focused on making Islam the centerpiece of Turkish politics and sees the country’s foreign policy role as being primarily anti-Western. This, Erdogan thinks, is how he will bring the Ottomans back. The irony is that while trying to revive the pre-Ataturk Ottoman Empire, Erdogan is actually trying to revive the caricature of the Ottomans that he was taught by the Kemalists. The Ottomans were a sophisticated bunch. They were Muslims, but not obsessed with Islam in foreign policy or at home. From its inception, the Empire saw itself as a European power and was so deeply Westernized that by the 19th century it provided education for women, ran secular courts, and taught its pupils, including Ataturk, to take religion out of politics. And in foreign policy, the Ottomans always hoped to be a Muslim and European power, even as their power waned in the 19th century. The last Ottoman caliph whom Ataturk exiled, Abdulmecid II, was an established painter known for his nudes. If Erdogan can grasp the Ottoman legacy beyond the Kemalist caricature that shapes his thinking, Turkey still has a chance to walk away from a ruinous policy of Islamization at home and the ISIL threat from Syria.